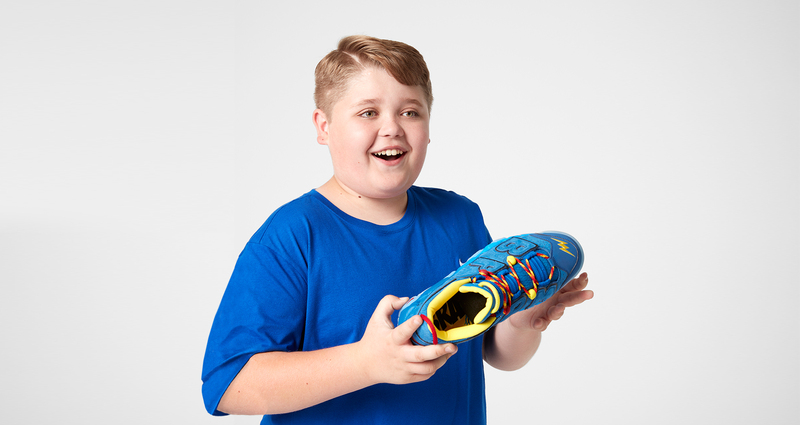 Brody Miller is an 11-year-old from Portland who battles with a rare brain condition every day. But that doesn’t stop him from pursuing his dreams. 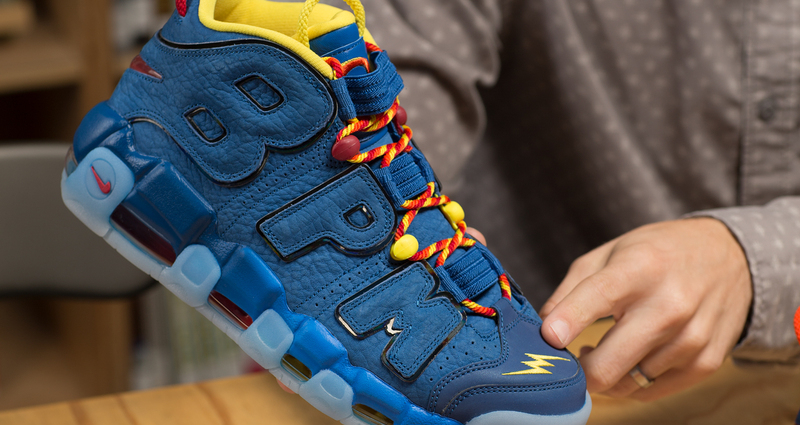 With the help of the Nike design team, Brody’s Air More Uptempo design came to life. 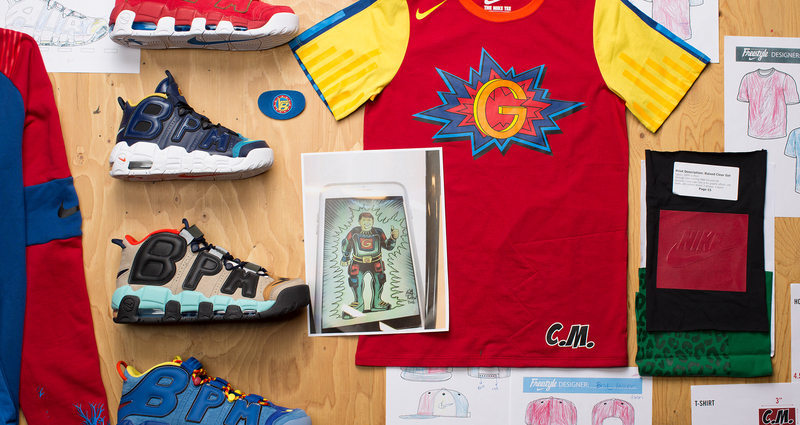 His inspiration was drawn from his alter ego – Generator Man. 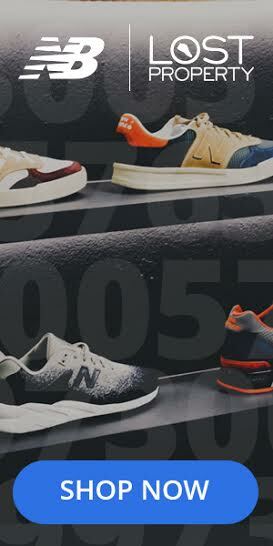 Based on what he said, he knew the kind of shoe he wanted to create, and together with the design team, they created four different shoes by putting together all the options, which also eventually created the final design. The shoe features a glow-in-the-dark outsole that says BE STRONG, it lights up to reference Generator Man, and the toebox is also reflective. 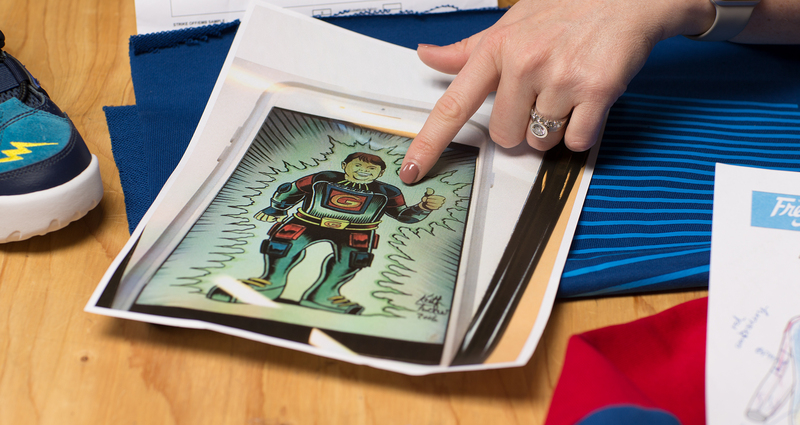 The lightening bolt is a symbol for his love of comic books and superheroes. 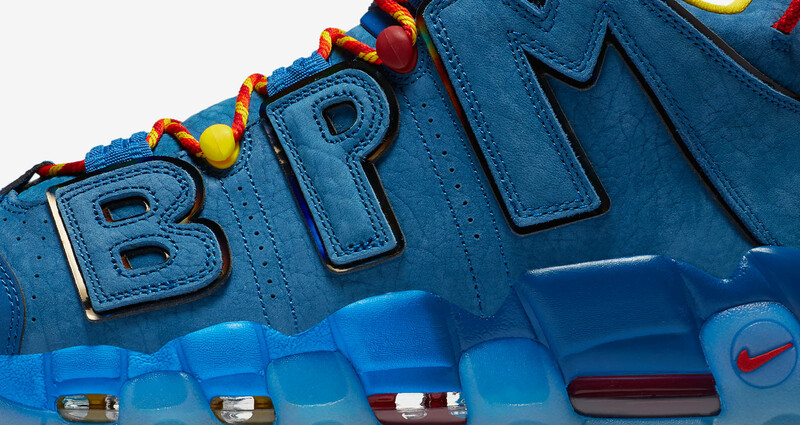 The BPM are his initials and it stands for Beats Per Minute. 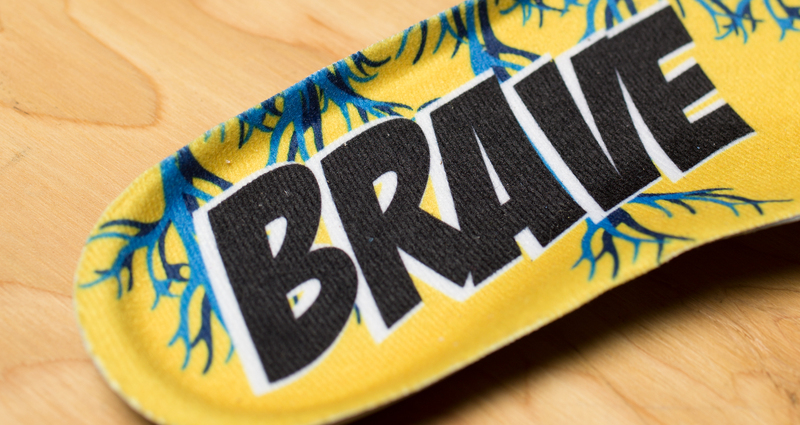 The veins in the sockliner are inspired by the fact that Brody generates extra veins in his brain. 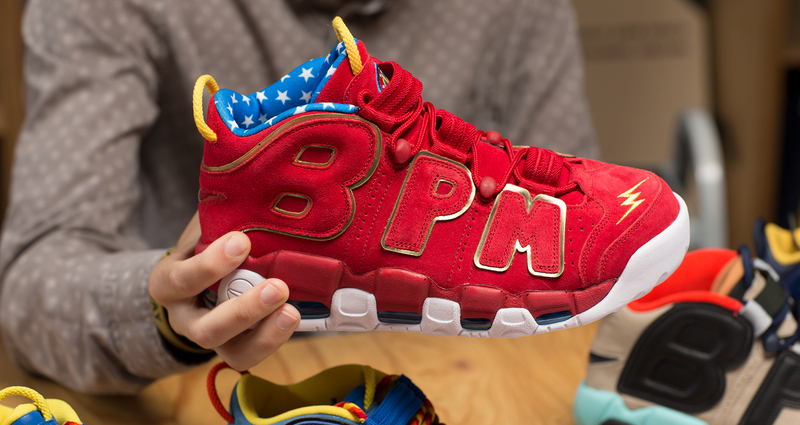 The team also created a special red version of Brody’s Air More Uptempo, which is dedicated to an important member of his support system, Lisa Baird. The collection represents Brody’s heroic nature and powerfully, brings to life his vision.